THE Tasmanian economy continues to show it has two speeds, with the latest Tasmanian Chamber of Commerce and Industry (TCCI) business expectations survey showing southern businesses are significantly more bullish about the future than their northern and north-western colleagues. The second quarter survey for 2015 is showing approximately 50 per cent of southern business have a positive outlook, compared to about just 10 per cent of north and north-west businesses feeling positive about the economy. Interestingly, the negative sentiment about the economy came from the north of the state, with 25 per cent of respondents having a negative view, whereas 50 per cent of respondents in the north-west were neutral about the economy. 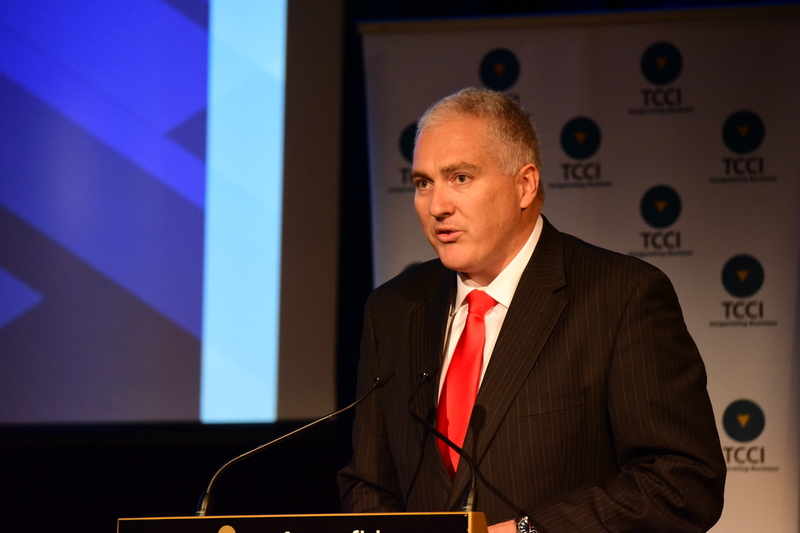 TCCI chief executive Michael Bailey said the figures were consistent with what industry has been saying for some time. 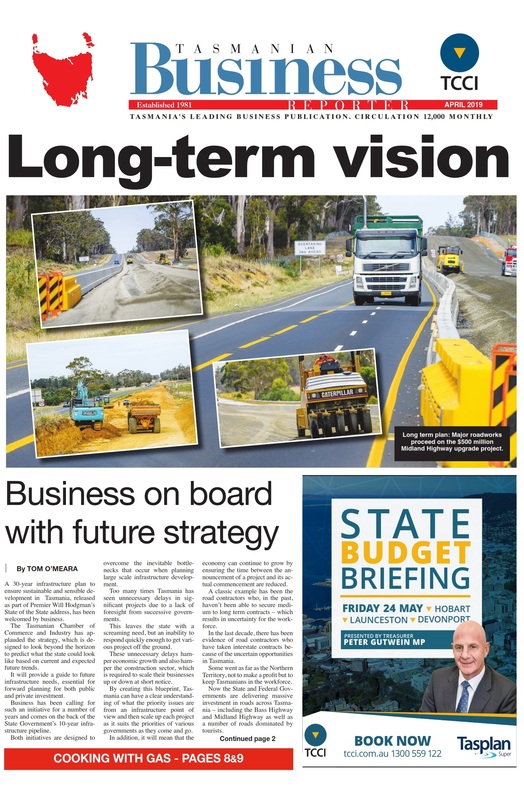 “The survey reflects what we have been hearing from the members around the state and was recognised in the recent state budget which included business packages for the north and north-west,” Mr Bailey said. Tasmanian Chamber of Commerce Industry CEO Michael Bailey. Courtesy of the Examiner. Mr Bailey said in supporting the infrastructure announcements, the survey showed there was a clear need to get these moving quickly. In terms of employment throughout the regions, ABS figures compiled by Tasman Management Services and the TCCI show employment has remained static in the north and north-west, while there was a significant increase in jobs in the south during May. The figures reveal approximately 51,800 people employed on the North-West Coast during May, compared to 64,300 in the north and 107,200 in south, which was some 1700 extra jobs over the previous months. However in terms of unemployment rates, the north-west was significantly higher than the other two regions at 7.5 per cent, compared to 6.3 per cent in the north and 6.2 per cent in the south. In southern Tasmania there are 219,243 people, compared to 143,792 in the north and 113,927 on the North-West Coast.